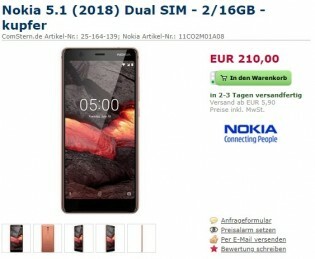 HMD Global announced a number of new smartphones coming to Europe back in May and Nokia 5's successor was one of them. 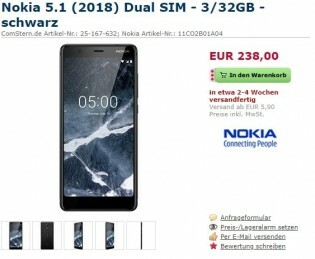 Now, the Nokia 5.1 popped up on a German online retail store claiming that the 2GB/16GB memory variant will be here 3 days from now. The price tag is €210 while the more powerful version with 3GB/32GB memory configuration will set you back €238. You can pre-order the latter too but it will arrive in two to four weeks time.